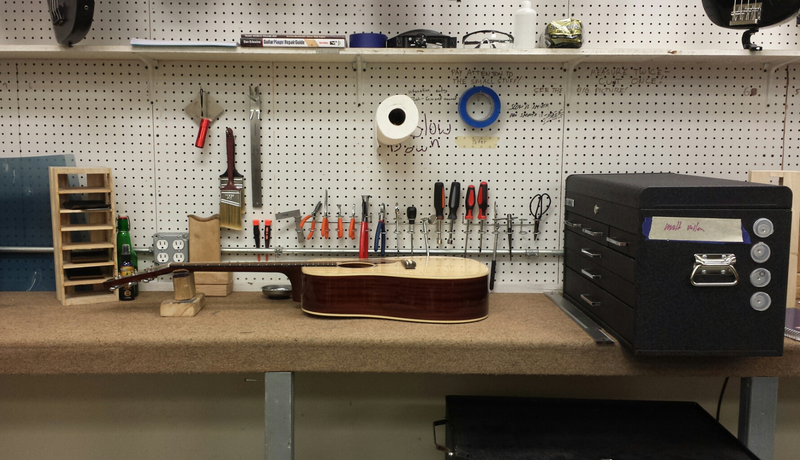 I’m in the sixth week of guitar repair school, and I thought I would share some pictures of actual work I’ve done. I’ve created a shared Google Photos gallery. I’ll try to keep it updated as I do more. My Art & Lutherie parlor guitar needs some cleaning. Look how nice the fretboard is! Ibanez Artcore, set up. Plays like butter. Awesome guitar for around $300. Bad looking neck repair on a Les Paul copy. Sanding away the repair joint.